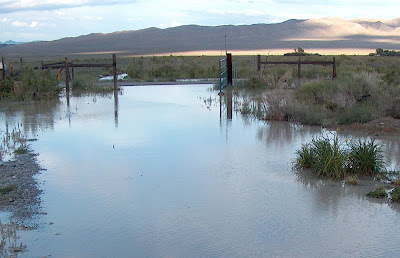 In mid-September, Great Basin National Park hosted a Beetle Bioblitz. During a 24-hour period, more than forty people traipsed throughout the park collecting beetles, searching a variety of habitats from 5,300 feet to 10,800 feet. 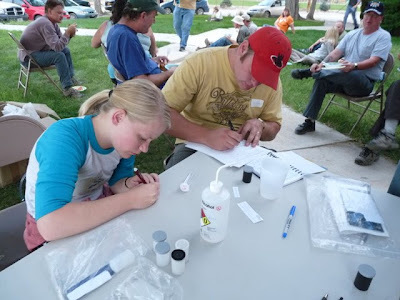 The event started with a beetle workshop, where participants learned some beetle basics. Beetles belong to the Order Coleoptera, and there are over 12,000 described types of beetles in the U.S. and over 300,000 worldwide. Wow! This amounts to about 25% of all living organisms. Even more amazing--there could possibly be 5 to 8 million beetle species--many of them remain undescribed. Beetles include some commonly seen insects like "ladybugs" and lightning bugs. Although beetles have hardened forewings (elytra), they have a second set of wings that allow (most of) them to fly. There are many other cool facts about beetles at Wikipedia. 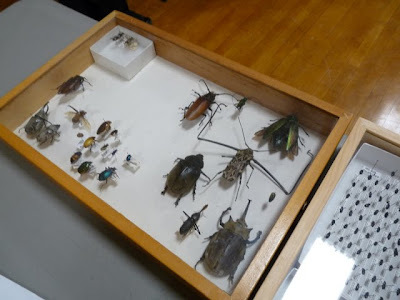 Southern Utah University from Cedar City, Utah, brought a display case of beetles, some found in the area, but the more dramatic ones as examples of how different beetles can be. Other participants came from Dixie State College in St. George, Utah, University of Nevada-Reno, University of Nevada-Las Vegas, and Nevada Department of Agriculture. 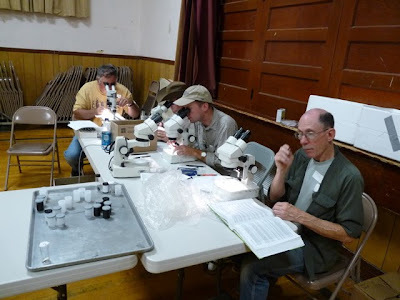 Participants had to keep track of where they collected beetles on data sheets and label their vials so that the park could keep a record of them. Different collecting techniques were used, from turning over logs and rocks to installing pitfall traps, where unsuspecting beetles would fall into a cup and be trapped. Light traps were quite successful, as were sweep nets that were brushed through grasses, shrubs, and trees. Following collection came the really hard part: identification. Fortunately there were some very talented entomologists (insect specialists) who were able to get the beetles sorted down to family in relatively short time. One of the entomologists, Jeff Knight from the Nevada Department of Agriculture, took the beetles back with him to identify them down to a further level. The preliminary results were 716 beetles collected in at least 30 families. Over 600 hours of volunteer time made it all possible. The national park now has a much better idea of the beetles that live in it. Typically, insects aren't high on anyone's priority list, so this beetle bioblitz made it possible to learn a lot in a relatively short period of time. Bioblitzes are becoming more popular throughout the country. It might not be long until one comes to a place close to you! 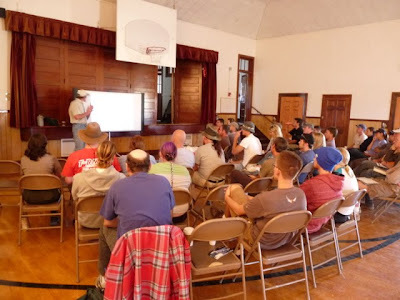 And if not, Great Basin National park plans to have another one next year and you can come out and participate! A few months back, I wrote a blog about the changing night sounds in the desert. I bemoaned the fact that I never heard toads croaking or found them in my garden anymore. After 3 inches of rain this spring, the toads have returned, at least for a short while. We began hearing croaking at night and it brought such a wave of childhood nostalgia that I began looking for toads. We found them in the borrow pits along the side of the road which were filled with muddy water from all the rain. Every day, my husband and I would ride our bikes along the road, checking on the tadpoles, but it soon became a race between the diminishing water and the tadpoles' growing independence. It sadly became apparent the water was going to disappear before many of the tadpoles were sufficiently grown. As a child raising tadpoles, I always collected them from moss-filled ponds and just collected moss, water, and tadpoles. The tadpoles fed on the moss and I never worried about feeding them. But this was a new situation as there was no moss - just dirty, brackish water. After doing some research on the Internet, we decided to feed the tadpoles frozen lettuce. 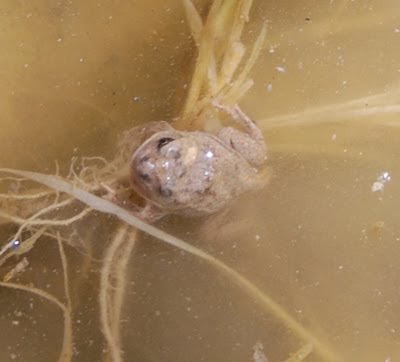 The tadpoles burrowed down in the mud at the bottom of the pond during the cool parts of the day and night, but when temperatures soared to 100 degrees, the tadpoles swam to the surface and began chewing on the lettuce enthusiastically. 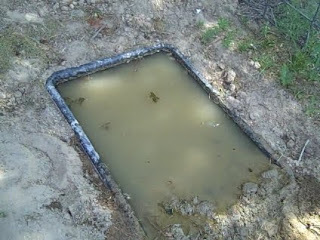 As the tadpoles developed, we needed to provide a place for them to move to land. Once tadpoles lose their tails, they tire quickly from swimming and need a place to rest close to the surface of the water. So we moved them to a shallow pond and built a mud bank for them. 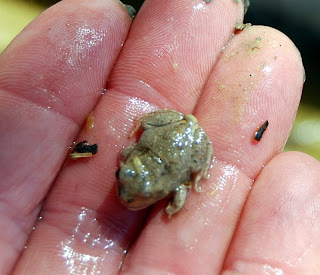 The new little toads seemed grateful for any debris in the water, using it as rafts. 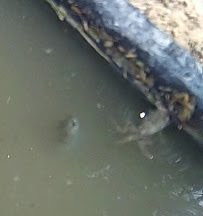 The toads would be in the water for a few days and then disappear, supposedly into my garden. But I haven't seen any sign of them - just the pool slowly emptying of the fascinating little creatures. So now the nights are quieter again, just a few croaks here and there. But I know there are toads somewhere nearby, even if they are small - and fragile, like our desert. If you were in some are more urban then I am here at Fish Springs, it would be easy to think otherwise. But my many years of being here and tuning into the message the birds send is not to be mistaken. For several mornings now, the resident Canada geese and their rambunctious youngsters have been making pre-dawn flights of restless angst around the housing area and the edge of the marsh. The urge to move on among the young is not well understood by them but they are anxious nonetheless. Our annual fall migration of shorebirds is largely past. It actually begins in mid-July and continues into mid-September. Most of our resident nesting shorebirds have moved out and I suspect that many might even be in Mexico or points south by now. 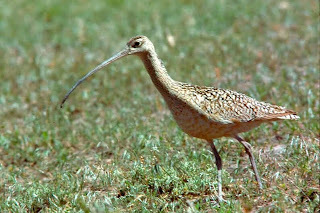 Our long-billed curlews, the first of our nesting shorebirds to show up in the spring and the first to leave in the fall, are very likely ensconced the beach somewhere on the coast of Sinaloa in Mexico, the wintering site for most of the North American population of this species. The annual fall migration of waterfowl is in full swing. It will usually peaks in September. 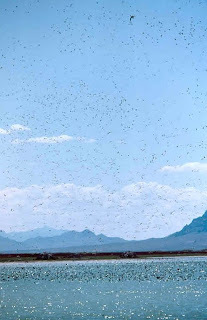 Unlike, the northward spring migration, which is a much more leisurely process and where stops are keyed toward being able to stock up on high protein foods in preparation for the nesting season, the fall migration is fuel by advantageous weather events associated with cold fronts and by locations where high energy foods will permit fat layers to be added for the oftentimes long trip to follow. Many of the ducks that stop here to use the “Fish Springs Bed & Breakfast” will ultimately end up wintering as far south as the pampas of Argentina, a long haul by any standard! This long distance effort to find a more favorable wintering area is not just the domain of wetland birds. While we often do not see large flocks, as is the case with shorebirds and waterfowl in the fall, our songbirds are also making the long distance run. We note them in the trees and shrubs around the headquarters, particularly when they run up against a strong south wind that is simply too much work to migrate against. They rest, feed up and then are gone with the return of a favorable north wind. Sometimes it seems they have either come or are gone “overnight.” This is in fact the case. Almost all songbird long distance migration occurs at night! Birds of prey are also engaged in finding more southern climes but they tend to do so in an individual fashion. We see lots of Cooper’s and sharp-shinned hawks in the trees around the housing area and sometimes have even been privileged enough to see them take a bird to eat. It can be quite a chase scene, I think as exciting as any I have seen on the nightly news! Rough-legged hawks will make the long trek from the artic to winter here and our small nesting population of northern harriers will be swelled by migrants. In another 5-6 weeks, we will see the first of the wintering bald eagles show up. When winter is warmer, the bald eagles tend to leave the Refuge and spend time engaged in their primary feeding behavior of fishing on lakes and streams. When temperatures drop and those locations freeze over, the eagles return to the Refuge to forage on waterfowl until things thaw enough to return to fishing. On Fish Springs, we find that migration is not even limited to just birds. Our small resident pronghorn flock, with us from late March until late October, will make their way to a traditional wintering area, we suspect north of us on the Dugway Proving Ground.